Colibri offers one of the most delightful and exclusive cruises in France. Australian Captain and owner Earl & his wife Fiona are extraordinarily passionate about their beautiful barge, about France, about wine, about… everything that could possibly enhance your holiday! 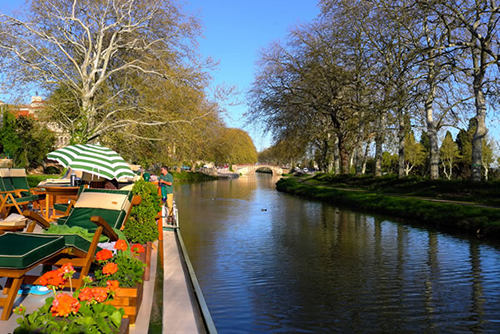 A warm welcome awaits you aboard the beautiful “Emma” from Irish/French owners Liz and René Jacquot, for your idyllic cruise along the superb tree lined 16th Century Canal du Midi!